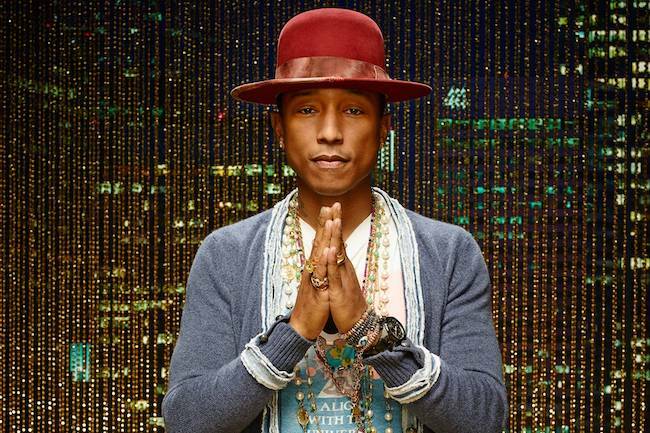 Rapper Pharrell Williams will host a three-day music festival in Virginia Beach this April. It might seem crazy what I'm 'bout to say, but Pharrell Williams is bringing a whole new music festival to his hometown of Virginia Beach. After making it big, Pharrell Williams hasn’t forgotten where he came from. He appreciates what Virginia gave him, and now he’s heading back home to share some love. “Allen Iverson. Missy Elliott. Dave Mathews Band. Ella Fitzgerald. Virginia has been home to some of the most gifted artists, athletes, and scientists to ever live. And it makes sense – the people of Virginia are one-of-a-kind: uniquely gritty, bold, and brilliant,” said Williams. “For the first time, we are harnessing that energy, bringing the great minds of our time and the biggest brands in the world to this great place, and letting the inspiration flow and well-deserved opportunities unfold. Virginia needs this right now and the world will see what we Virginians have known all along: there really is Something in the Water." Titled “Something in the Water,” the three-day festival will bring music legends from around the nation to Virginia Beach from Friday, April 26, to Sunday, April 28. Williams purposely organized the event for the same weekend as College Beach Weekend as an alternative to the celebrations of the past. He wants to give back to his community during this time and inspire everyone to achieve their dreams. The star-studded lineup includes some other Virginia natives such as Missy Elliott and Dave Matthews Band, as well as some very talented visitors such as Diplo, Ferg, Jaden Smith, Janelle Monáe, Lil Uzi Vert, Pusha T, Sza, Travis Scott, and many more. The festival will also provide so much more than just music. The event will showcase a screening of the film, The Burial of Kojo, which premieres on Netflix on March 31, as well as inspirational sessions led by infamous wellness expert Deepak Chopra and Geoffrey Canada, the president of the Harlem Children’s Zone, an organization that has transformed the lives of thousands of inner-city youth. Festival-goers will also have the ability to attend a pop-up church service or sing their hearts out at karaoke. Tickets for the festival-of-a-lifetime will go on sale Friday, March 8, at 12 p.m. EST on the Something in the Water website. A three-day general admission pass will cost $150 and grant you general access for every day of the festival. However, if you’re a true fan, you can opt for the three-day VIP pass which will grant you the luxury of VIP entry lines, dedicated viewing areas, VIP bathrooms, and VIP-dedicated merchandise stands, food, and charging stations. To get those benefits, be sure to snag an early bird price of $450 per VIP pass. So, clap along if you feel like happiness is the truth, and let us know if you’ll be heading to “Something in the Water"! *Featured image courtesy of Getty Images. The Virginia Zoo has two new sloths, and we can't wait to meet them! Read about them here!